You’ll hardly seem like the cool and collected guy we know you to be, if you’re always clanging around your desk looking for a pen. And considering that looking organized at the office could be the difference in whether or not you keep your job these days, you should considering upgrading your pen holder to a pen tray from Complement. 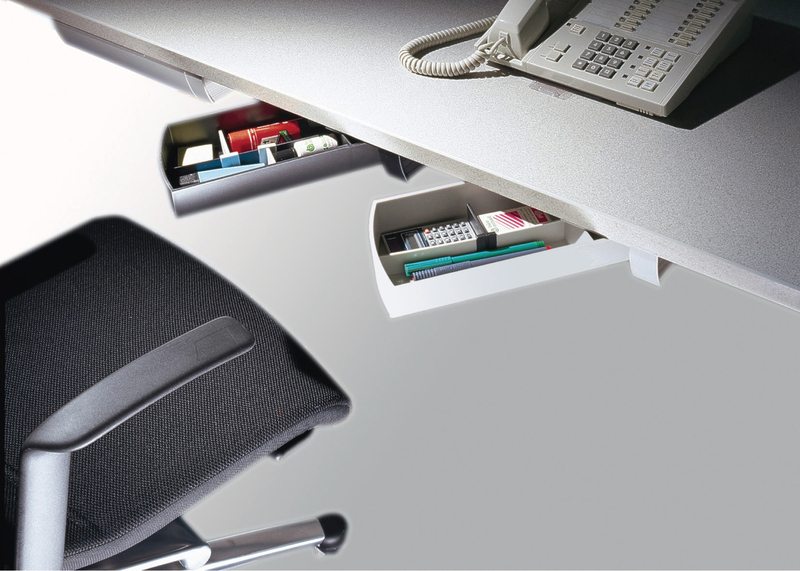 Complements pen trays is very popular across the World, as it stores your pens and office supplies efficiently. Info: The pen tray takes up a minimum of space and is the perfect solution in places where space is limited, butwhere tidiness is a must. The pen tray is easily mounted underneath the table top, shelves or in a cabinet, etc. The pen tray is attached with three screws and is easily adjusted for perfect fit. Consistent quality and design. Colour: - Black, article no. N-5140912712 - Silver, article no. N-51409050233 - Light grey, article no. N-51409120171 - Translucent, article no. N-51409030886 Comes screws.